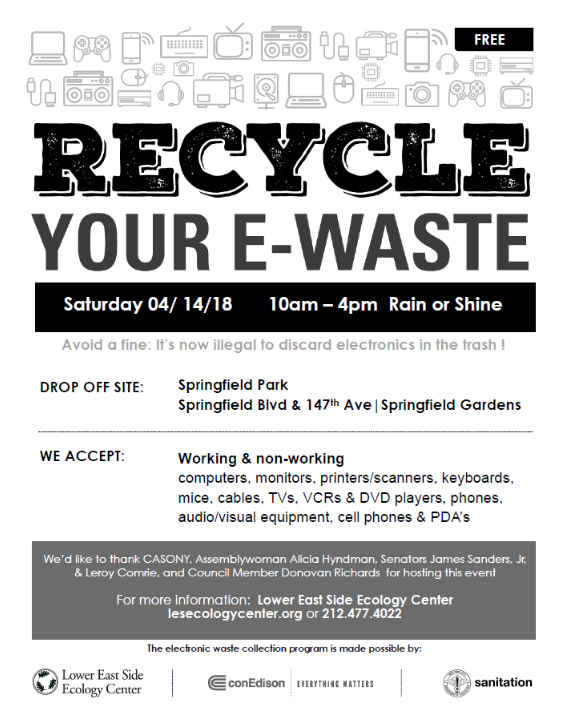 New York State Senator Leroy Comrie, New York Senator James Sanders, New York State Assembly Member Alicia Hyndman, New York City Council Member Donovan Richards, CASONY, and the Lower East Side Ecology Center are pleased to offer FREE collections of your electronic waste. Bring your working or non-working computers, monitors, printers, scanners, keyboards, mice, cables, TVs, VCRs, DVD players, phones, audio equipment, cellphones and PDAs to this rain or shine event. 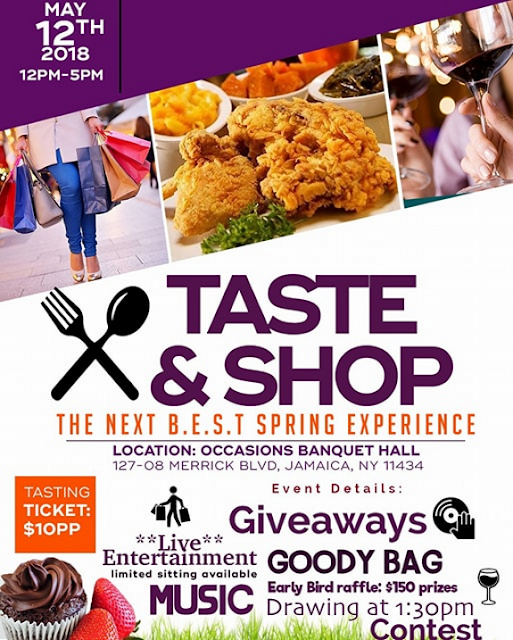 It is illegal to dispose of these items with the trash, so please spread the word about these community events. Labels: New York Senator James Sanders.